U.S. Customs and Border Protection seized an abandoned boat suspected of being used for human smuggling. It happened around 11:40 a.m. Sunday. 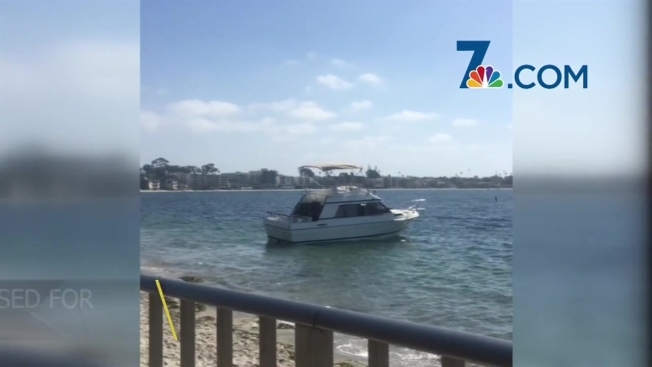 According to agents, a witness called in the abandoned boat floating in Mission Bay near the shoreline, East of Briarfield Drive off of Pacific Beach Drive in San Diego. Imperial Beach agents responded, as well as CBP Air & Marine Operations agents. "Agents seized the vessel based on maritime law of abandoned vessels," said Ralph DeSio with U.S. Customs and Border Protection.